Dog Days of Summer 1. The hot, sultry period of summer between early July and early September. When I think of the Dog Days of Summer, I immediately think of the hot sun, sun-kissed skin and salty windblown hair, coconut sunscreen and Bananarama’s “Cruel Summer.” If you follow me on Instagram, you know my summer has been alllll about this. Because our sultry days are numbered on the East Coast – I’ve been keeping an extra busy social calendar this summer, which has included long work days during the week and maximum sun, sand, surf on the weekends. So what exactly do the dog days of summer look like? 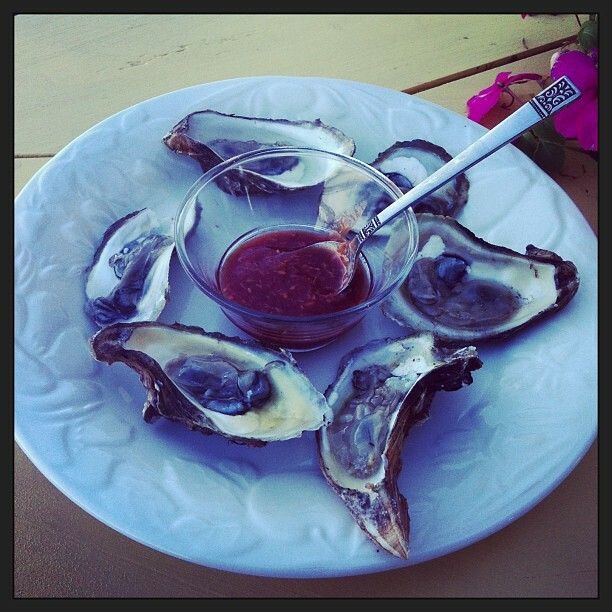 One of my absolutely favorite seafood treats are oysters – whether shucking them raw or eating them cooked Rockefeller style – I’m a sucker for oysters. No summer is complete without at least a few servings of these delicious, salty seafood appetizers. If your from Moncton, you’re more than likely familiar with the amazing Tide and Boar restaurant on Main. What you may not be aware of is that this summer, they have a new lemonade bar. 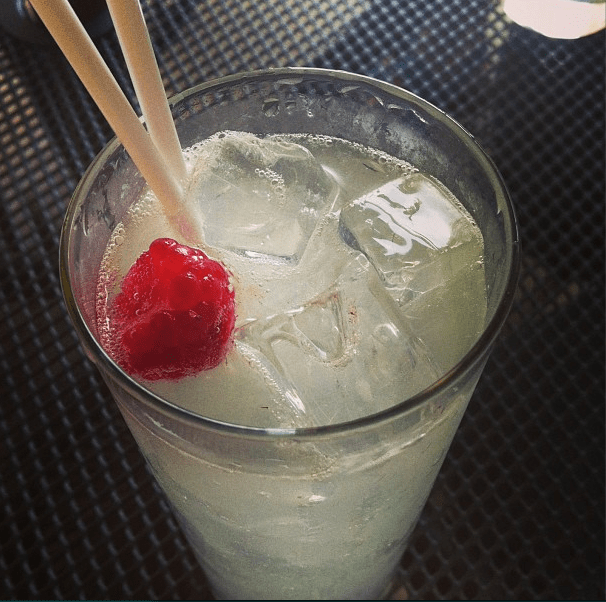 This Raspberry Lemonade is off of it and while $9 seems a big steep for a cold lemonade on a hot summer day (the others range from $9 to $13 depending on the liquor involved) – I highly recommend giving it a try at least once this summer. Salty Skin. Windblown Hair. Coconut Rum in a Sippy Cup. Looking for the perfect summer daytime drink to follow a night of, ahem, summer drinking shenanigans? May I recommend pineapple juice + coconut rum? After a great night out with some of my favorite gals Friday night (a bachelor party was crashed) I was feeling a little unsure about my feelings towards alcohol Saturday morning when packing for an overnight cottage party with friends. This was the perfect solution. And it complimented my Aloha from Hawaii Starbucks travel cup beautifully. 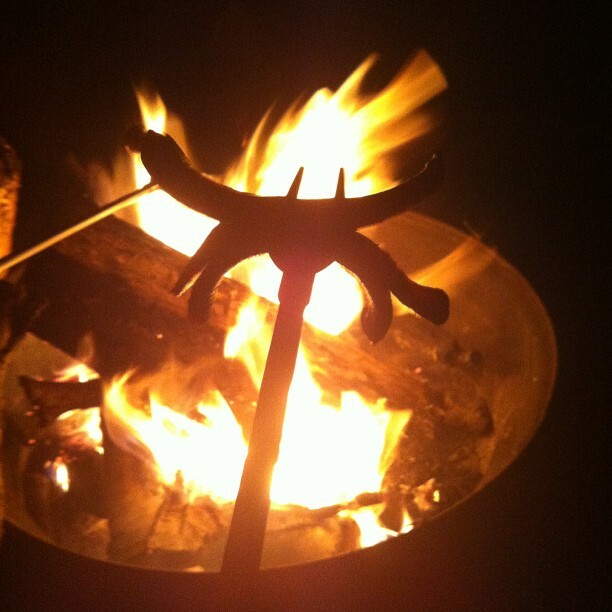 A new favorite of mine – no summer fire is complete without s’mores and spider-dogs! Confused? Take a regular hot dog and slice both of the ends into three small “legs” while keeping the center intact. Place the center onto your grilling stick and roast away. Watch as the hot dog’s legs begin to curl and you see the shape of a spider take place. Extra points if you dip the final product into some ketchup or mustard. Two pounds of pinching power. 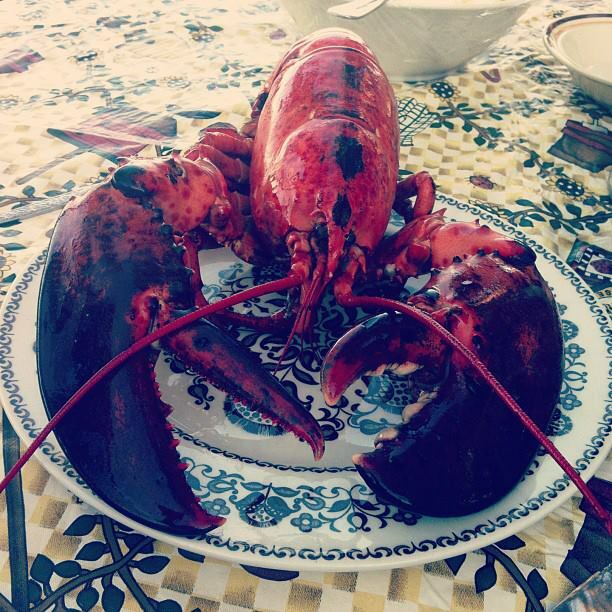 It’s lobster season on the East Coast, which means most weekends will now involve a feast of freshly caught lobster from the wharf just a mile up the road from our summer home. This bad boy weighed in at two pounds and when paired with fresh roles, homemade potato salad, and melted garlic butter? Nom. 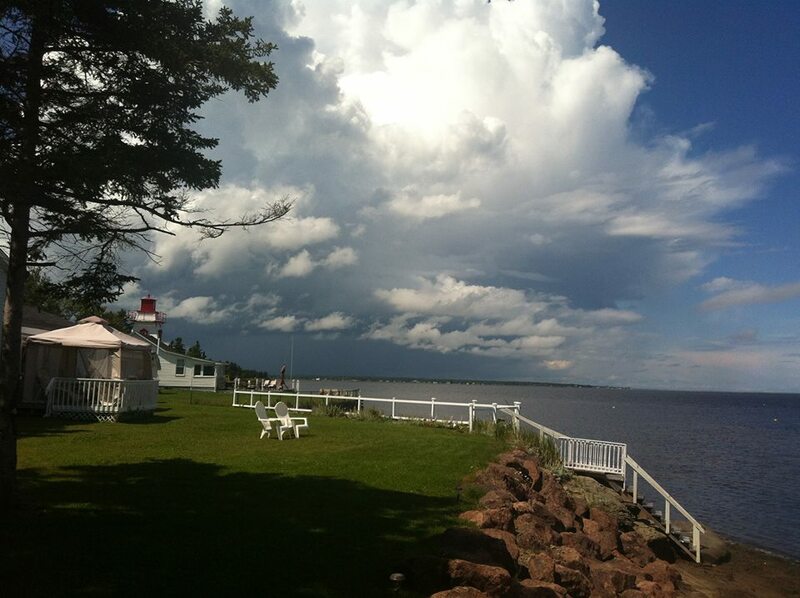 Sultry days give way to summer storms. Last weekend saw three days straight of lightning and thunder storms. Guess you can’t have sultry days without the occasional stormy night. This has truly been the summer of fun with besties. 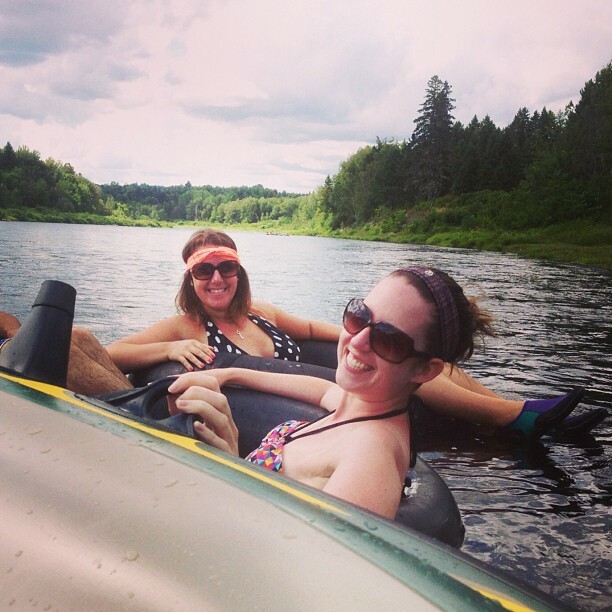 Last Sunday’s trip to Stewart’s Tubing in Miramichi was no exception. The thunder and lightning stayed at bay long enough for us to enjoy a great cruise down the river, lots of laughs, and an afternoon of sun. If you’re local and you haven’t gone tubing yet – what are you waiting for? Click the link above to check them out. Oh and please ignore my water shoes. Safety first people. 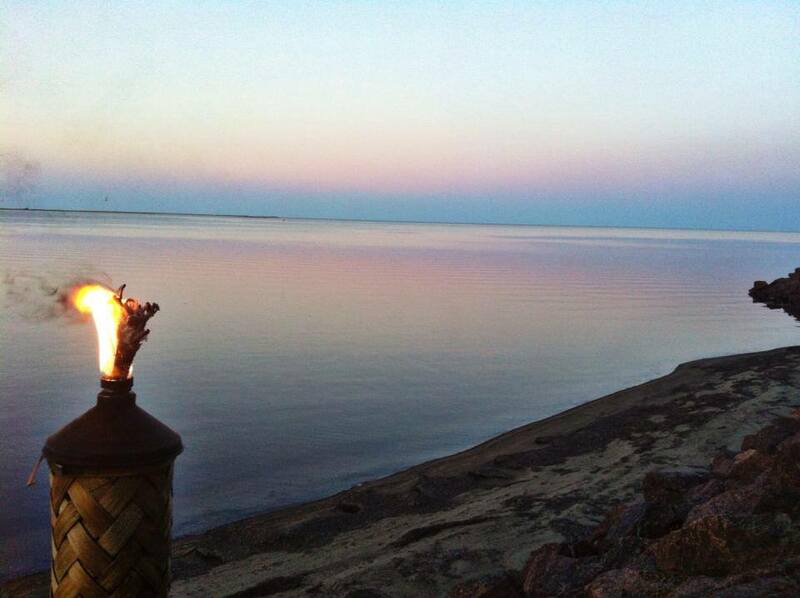 Just another perfect night on the shore. It’s all about taking advantage of as many of these as you can. So – how are you enjoying the dog days of summer?